Giving you the history of famous YouTubers. T-Series is an Indian music company that has been around since 1990. On March 13, 2006, T-Series had made a YouTube channel where they posted their songs and albums. T-Series is the second most subscribed channel on YouTube which has started some drama on YouTube with another YouTube channel called PewDiePie. Click here for my blog on PewDiePie. PewDiePie is the most subscribed channel on YouTube and T-Series being in second is fighting to be on top. In October of 2018, T-Series had hit 67+ subscribers on YouTube. T-Series gains a total of 150,000 a day. 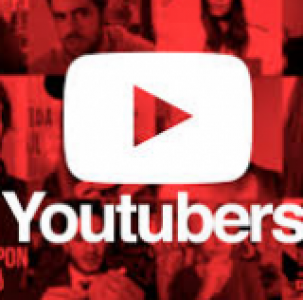 There is not much information on T-Series’s YouTube channel because they haven’t been involved in any big event on YouTube or any drama until now. Both PewDiePie and T-Series are rapidly growing in size. I am not a fan of T-Series but I hope that they will keep growing as a channel.